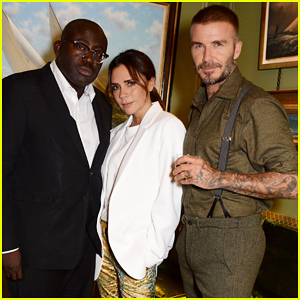 Victoria Beckham strikes a pose alongside her husband David Beckham and British Vogue‘s Edward Enninful while attending the 10th Anniversary of Victoria Beckham held at Mark’s Club on Sunday (September 16) in London, England. The 44-year-old fashion designer and David, 43, were joined at the event by their longtime friends Gordon Ramsay, David Furnish, David‘s sister Joanne, as well as Cassie, Georgia Fowler, Winnie Harlow, Neelam Gill, Lara Stone and Adwoa Aboah, who all came out to show their support. Ciara wows in an LBD at the 2018 Serpentine Gallery Summer Party held at Kensington Gardens on Tuesday (June 19) in London. The 32-year-old singer was joined at the annual event by Russell Tovey, Ellie Goulding, Suki Waterhouse, Max Irons, Charli XCX, Natalie Dormer, and Mia Goth. Also in attendance were Princess Eugenie and Princess Beatrice, Ellie Bamber, Lara Stone, Ella Purnell, Alexa Chung, Kaya Scodelario, Anya Taylor-Joy, and Jenna Coleman. Guests enjoyed Casamigos margaritas at the party. 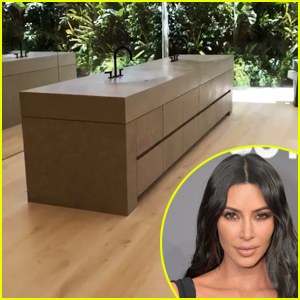 Earlier in the day, it was reported that Russell and his fiance Steve Brockman had split. FYI: All the ladies are wearing Chanel. Ellie B is wearing Jimmy Choo shoes. Beatrice is wearing a Wilfred Free for Aritzia jacket. Adriana Lima, Alessandra Ambrosio, Elsa Hosk, Lais Ribeiro and Sara Sampaio are absolutely stunning as they strike a pose at the 2018 amfAR Cannes Gala held during the 2018 Cannes Film Festival at Hotel du Cap-Eden-Roc on Thursday (May 17) in Cap d’Antibes, France. The ladies were joined at the event by their fellow Victoria’s Secret models Izabel Goulart, Cindy Bruna and Maria Borges, as well as fellow models Toni Garrn, Winnie Harlow, Karolina Kurkova, Barbara Palvin, Petra Nemcova, Natasha Poly, Lara Stone, Georgia Fowler and Jordan Barrett. Sara, 26, was spotted locking lips lips with her boyfriend Oliver Ripley on the carpet. FYI: Adriana is wearing Julien Macdonald. Elsa is wearing an Ermanno Scervino gown. Sara is wearing an Elie Saab dress with Chopard jewelry. Izabel is wearing Valentino with Chopard jewelry. Cindy is wearing a Giambattista Valli gown. Maria is wearing Roberto Cavalli Couture with Giuseppe Zanotti heels. Karolina is wearing a Miu Miu dress, bag and shoes, Sasha Samuel earrings, an IWC Schaffhausen watch, an Effy bracelet, and Melinda Maria rings. Winnie is wearing Zuhair Murad Couture. Barbara is wearing Roberto Cavalli Couture. Lara is wearing a David Koma gown. Toni is wearing Montblanc jewelry.